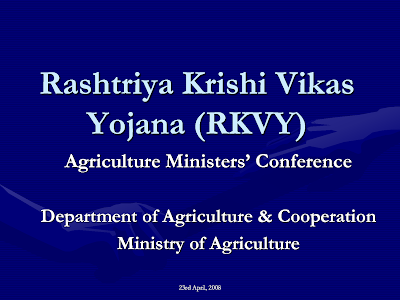 New Delhi,DEVESH K. PANDEY: The report by the Comptroller and Auditor General of India (CAG) on the performance of the Rashtriya Krishi Vikas Yojana (RKVY) since its launch in 2007 to 2013, which was tabled in Parliament on Tuesday, has detected shortfalls in achieving targeted outputs in 62 projects costing Rs. 1,405 crore in 19 States. Against the backdrop of faltering growth in the agriculture sector, the scheme was launched in the XI Five Year Plan giving complete flexibility to the States to launch projects with an aim to generate growth in agriculture and allied sectors. As part of the plan, Rs. 30,873 crore was released to 28 States and seven Union Territories during the period under review. However, Rs. 2,800 crore remained unspent. The CAG report highlights numerous instances of the expected benefits of the RKVY not reaching the farmers. According to the report, of the 4,061 projects sanctioned in 19 selected sectors during 2007-08 to 2012-13, 2,506 were completed. While 1,279 projects were under progress, 85 had not been implemented, 100 abandoned and 90 dropped. “An amount of Rs. 134.95 crore was incurred on 28 abandoned projects. Of the 393 projects selected for audit examination, cases of under-performance and irregularities were noticed in 150, whereas shortfalls were noticed in 62 projects costing Rs. 1,404.94 crore in 19 States,” said the report. The CAG report revealed that RKVY funds to the tune of Rs. 91.24 crore were diverted for other purposes in nine projects.